Real Review! 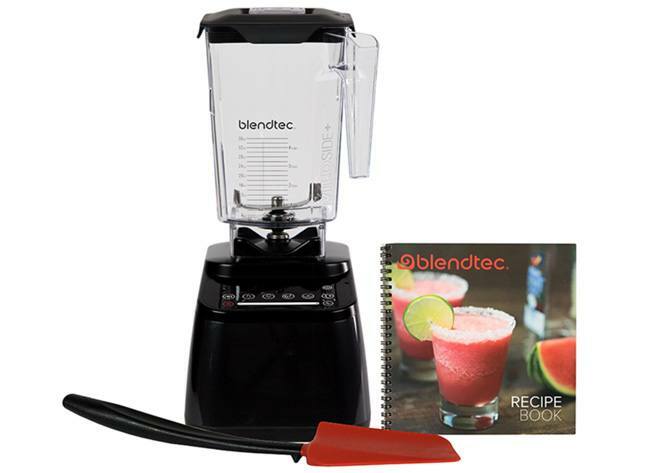 Blendtec Designer 625 - Is this the perfect blender for you? Blendtec is a big name in blending, and for good reason - it is known for commercial-grade blenders admired by smoothie enthusiasts. 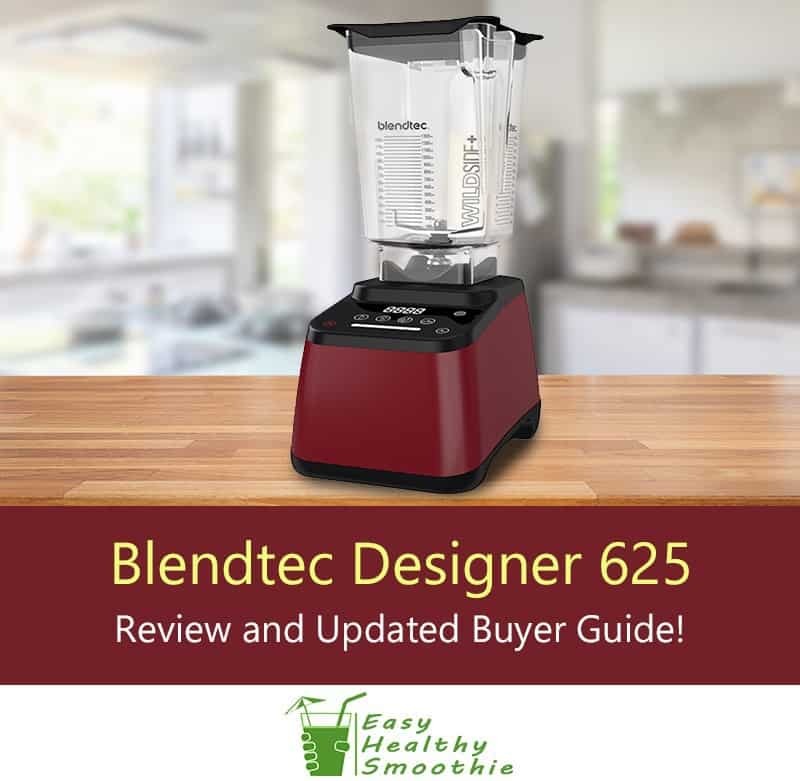 The Blendtec Designer 625 emphasizes both functionality and aesthetics, while promising to deliver you the smoothest, most delicious beverages, soups and nut butters. This model is known for being able to do a great job with even the toughest recipes. It is also exceptionally easy to use, offering an innovative jar design and convenient presets for hands-free blending. This ensures a perfect result every time. In a hurry? Click Here to Check Prices! Very powerful. Can handle the toughest recipes. Pricey but you get what you pay for! Presets allow for hands-free blending. Very easy to clean. 8-year warranty with excellent customer support. This blender is pow-er-ful! It features a 3.0-horsepower motor that can obliterate ice cubes into delicate snow. Pre programmed blend cycles take the guesswork out of blending, leading the perfect results every time! There are cycles for smoothie, ice cream, whole juice, hot soup and more. The touchscreen is intuitive and easy to clean and use. The controls light up with the first touch, and turn off automatically when you’re finished. Easy to clean the jar and wipe the pedestal down. The design is very attractive, and comes in several appealing colors sure to match any kitchen decor. The innovative wild side jar makes for easy pouring, and keeps food from becoming jammed during blending. Some report that it is louder than other blenders of a similar power level. We’ve found it to have plenty of power under the hood to handle the toughest recipes including soup and frozen drinks. Convenient pre settings allow for perfect results every time at the touch of a button! If you’re looking to have a healthier lifestyle for yourself and your family with delicious home-cooked meals and smoothies, you’ll need an excellent blender to get the job done. I’ve found that the Blendtec has helped me to craft delicious smoothies that keep me seeking out the right kind of sweet treat rather than turning to ice cream or other frozen confections. Individuals or families looking for a diverse appliance capable of making both smoothies and hot recipes such as soups. Anyone looking for a high-caliber blender. 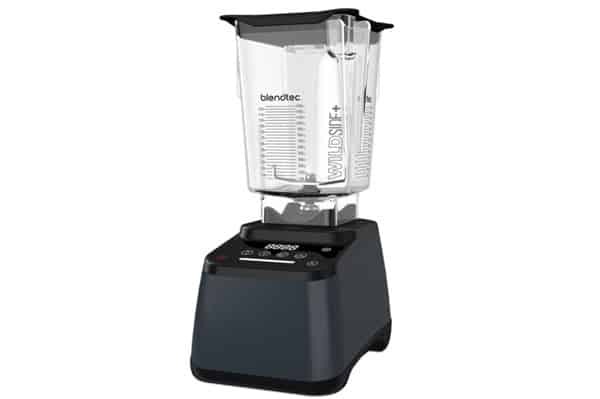 Sturdy construction and an 8-year warranty mean that the Blendtec is built to last, and can easily be replaced in the event that it doesn’t. Anyone looking for convenient, hands-free blending. Great for anyone who isn’t familiar with blending or is looking to multi-task in the kitchen. Commercial kitchens and cafes looking for maximal blending power that is convenient for staff to use. If you’re looking for a low-cost, stripped-down blender, the Blendtec 625 might not be for you. It comes with a lot of bells and whistles, but those don’t come cheap. If you don’t plan to use your blender frequently or don’t have high-power blending requirements you may wish to consider a cheaper alternative. This blending machine is positively loaded with features, and is powerful enough to handle even the toughest ingredients such as nuts. It’s also particularly good at chopping ice. Great for crushing ice. The Blendtec 625 is especially known for pulverizing ice cubes into a fine snowy powder. Ideal for smoothies. With a smoothie preset button that produces the perfect results every time. It’s even capable of handling more difficult ingredients such as nuts. Easy to make hot soups. The blades actually move fast enough to generate friction heat, and a hot soup presetting makes this a snap. Perfect for making whole juice as it has a presetting for this. It can even handle tougher ingredients such as ginger root. The Blendtec 625 is very easy to use, with pre settings allowing for hands-free blending and the perfect recipe every time. Don’t like spending valuable time and energy on cleaning the base and pitcher? This one is very easy to clean. In most cases all you’ll need to do to clean the jar is add some water and a few drops of soap, and blend for 40 seconds. If you do have to scrub the jar out a bit after stickier recipes, the wild-side design is easy to reach in and clean. The sleek pedestal with a touchscreen is also easy to wipe down. The dimensions are 7’ wide x 15.5” tall x 9.25” deep. The Blendtec 625’s height makes it a snap to store, as it easily fits in most cabinets or under counters. You can’t miss the sleek, high-tech design which makes it both appealing and easy to clean. The 3-horsepower motor means that it can handle even the toughest recipes. Blending presets allow for one-touch blending that produces consistent concoctions every time, no questions asked! The Blendtec Designer 625 comes in a rainbow of colors, including black, pomegranate, chartreuse, sea foam, orchid, slate gray and polar ice. At 3-horsepower, it definitely packs a punch! It’s one of the few models on the market that’s able to heat food simply with friction - quite an impressive feat! For safety, the Blendtec’s blade is blunt, so you won’t accidentally cut yourself when cleaning. The two-prong design also keeps blades from becoming jammed. It may be a little louder than other blenders in its class. However, most of the high-power blenders are going to be a bit loud, but don’t need to operate for long with most recipes! This machine can easily handle ice, and in fact is known for crushing ice into a particularly good texture. Great for making snow cones or other frozen drinks! The Blendtec 625 comes standard with the Wildside jar. However, you can also purchase the Twister jar or Mini Wildside jar separately. The wildside jar is lightweight, strong and BPA-free copolymer. It also has a vented Gripper lid for ease of use. The square shape and wide opening mean that ingredients are unlikely to jam, finished recipes are easy to pour, and that the jar is easy to clean. Even though it’s an impressive 90 ounces, the Wildside’s square design keeps it from being overly tall, meaning that the Blendtec is relatively easy to store. The twister jar is sold separately, and is made for extra-thick ingredients such as hummus and nut butters. The lid has tines that rotate, pushing ingredients off the side. The Twister is 37 fluid ounces. The Mini Wildside Personal Blender jar is sold separately. At 46 ounces it’s half the size, and is better-suited to personal single-serve blends. The Blendtec doesn’t come with any additional accessories or attachments, but with its functionality, these aren’t normally needed. The package includes a recipe book with more than 230 great-tasting recipes. This should have you well on your way to creating all kinds of healthy confections! One of the strong selling point of this appliance is its 8-year warranty. The manufacturer is known for being very generous with any repairs or replacements. Blendtec’s customer service has an excellent reputation, and offers free shipping for returns and repairs, making for a hassle-free experience. There are a few alternatives to the Blendtec 625 that you should consider depending upon your needs. Advantages include a more user-friendly interface, sleeker design, better airflow for improved cooling, better motor control and additional color and finish options. The 625 has a sleeker design, more presents and motor speeds, and a touch interface rather than buttons - much easier to use and clean. This Blendtec model is cheaper than the Vitamix. Vitamix jar is taller and narrower, so does not offer some of the advantages unique to the Wildside jar. The design of the Vitamix is also not quite as sleek. If you’re looking to pay a little less, you might consider buying the Blendtec Designer 625 refurbished. I recommend purchasing online for the best possible price, with vendors such as Amazon offering free shipping and the best price point. Overall this blender is a great option for individuals or families looking to make healthy recipes at home. It’s highly functional offering great versatility for even the toughest recipes, and convenient presettings make it easy to use. It’s also very easy to clean and store.